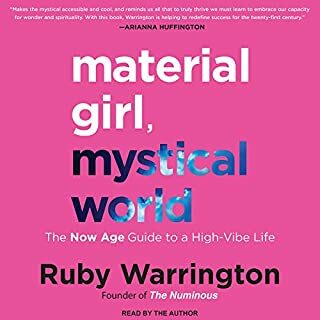 Inspired by the consciousness-shifting traditions that have moved seekers for generations, Material Girl, Mystical World is a fabulous adventure in the "Now Age": a sophisticated upgrade on cosmic thinking for women who know that a closetful of designer shoes can happily coexist with a deeply meaningful life. 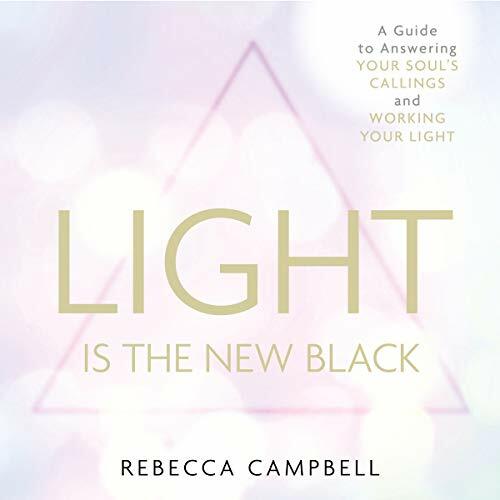 Light Is the New Black is a guidebook for a new breed of women who are here to be bright lights in the world - modern-day lightworkers who agreed to be here at this time in history. In order to thrive in this new age, everything we do must be an authentic expression of who we truly are. Light Is the New Black will guide you back home to the callings of your soul, so you can light up the world with your presence. 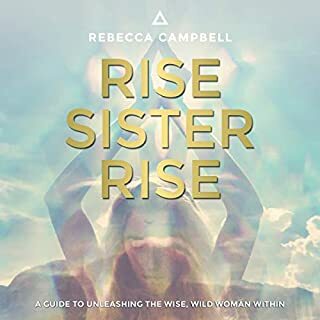 Rebecca Campbell had her first awakening when she was a teenager, but without anyone to guide her, she ignored her soul's callings and dimmed her light in order to fit in. Then, just before her 30th birthday, the life she had so consciously created began to crumble around her. It was as if the Universe turned off all the lights, so she had no choice but to rediscover her own. 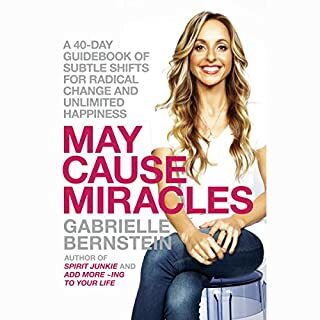 In this book, Rebecca shares her own journey alongside practical tools to help you reconnect with the core of your being and channelled messages from the Universe. Once you rediscover what you already know at soul level, you can offer the world something that only you can give. 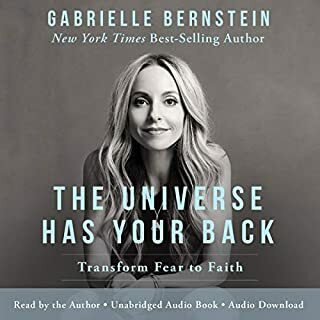 Rebecca shares her energy, wisdom and grace in every chapter of this audio book. 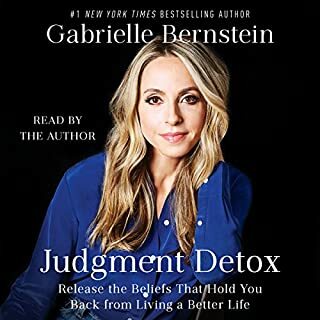 It’s an easy listen that will leave you feeling better than when you started and full of ideas to take on in your life to make the changes you want to see around you. Could not listen fast enough! You need to read this !! i just love everything about this book. how she described her story and how we can change our life. this is amazing for personal growth. i encourage everybody to listen to this powerfull message. i will listen to it again for sure. thank you for your amazing work ❤. I have read and listened to many “self help” books along my journey and attended many workshops. These words touched my soul on such a deep level that I was brought to tears in many places as I finally felt there was someone who really got me even better than I got myself. Parts of me that have been asleep or hiding for so long were given the nudge to awake awake awake. Thank you Rebecca for having the courage to shine your light to lead the way. This book is life changing. 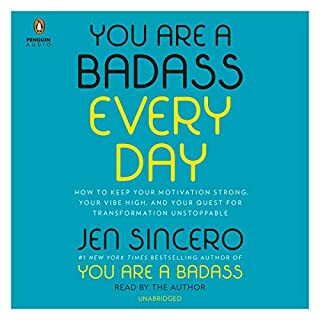 The most empowering book I have ever read, the song in the final chapter is hypnotizing I wish I could buy it for iTunes. 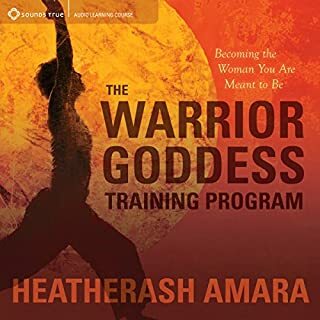 I love this book and I know I will listen time and time again to feel divine feminine energy rise withing. RC does an amazing job as an author. Her prayers and poems throughout are emotionally provoking in a the deepest way. I am so lite up and full of a bright zest for life to live out my calling! Of course it comes to me exactly when I needed it. I actually want the physical book now so I can revisit the excercises laid, because I tend to listen while Im doing other things. So uplifting, soul nurturing and overall inspiring to get out there and do me. Really loved it! So much inspiration! 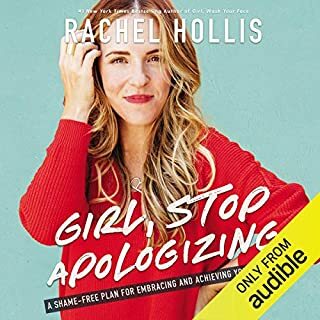 I could keep listening to this book over and over again. The practices and mantras will stay with me forever! Thank you! I was thirsty and dried up from the inside out. This book was ice tea and a big floppy hat...In the shade...by a pool. Thanks Universe. I cannot say enough about this book and the way it has touched my soul. I have once again awakened and I'm ready to do my souls' work. I believe this will be true for anyone who reads Rebecca's words, for it's impossible not to feel a connection beyond that of our ego. 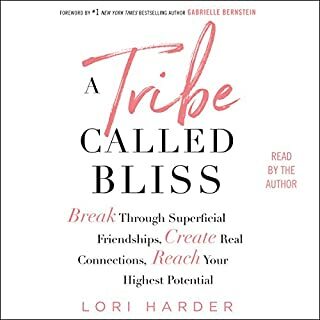 If you're someone who feels like something is missing, or if you're someone who is looking for your calling, searching for your tribe, interested in finding your &quot;super powers&quot;, or just someone who second guesses yourself a lot - this book is for you! 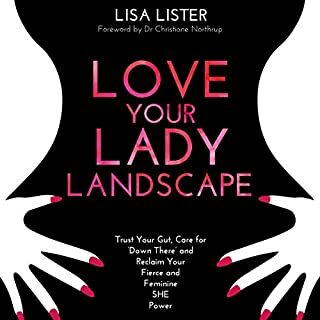 It's definitely geared towards women, but open minded men might gain insight from it as well. I think this book is a great asset for reigniting that creative, playful fire that may have been dimmed over the years! A hard copy would be good to have as there are many highlight worthy parts. But the narrator, who is also the author, is Australian so listening to her read it to you is a fun bonus! Yes and No. 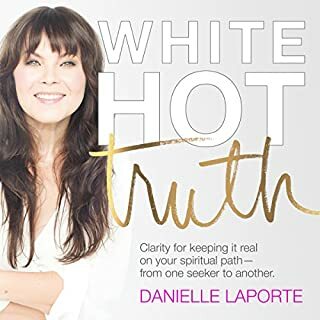 The author includes &quot;Work Your Light&quot; exercises. Because there is no pdf of the exercises, as authors sometimes do, I tried to &quot;clip&quot;/bookmark the spots where the exercises began so I could revisit later. I don't recommend doing this. Not fun or efficient. Would you recommend Light Is the New Black to your friends? Why or why not? 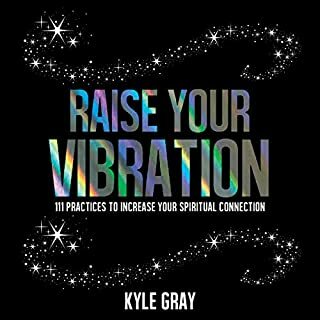 The author provides a fresh perspective on some well-known &quot;new age&quot; wisdom. She has a great accent, but I had to replay from time to time because I misunderstood or couldn't figure out something she said the first time. I expected this book to be about increasing your positivity and being an optimist in every day life... 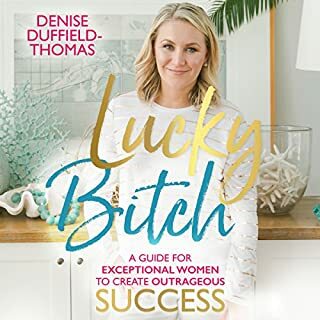 I was looking for a book to help me regain my confidence to be a light to those around me. I expected encouraging words. I expected refreshing thoughts. I did not expect a breakthrough of the spiritual boundary that I’ve been teetering on for the past 2 to 3 years. I have been a skeptic of religion since I was as young as 5 years old. The idea of a man sitting in the clouds judging our every move and feeling shame for being a human has never sat well with me. I considered myself to be atheist for a while, but always felt like there was a connectedness amongst the universe. I felt divinity when looking at the stars, I feel a connection with people that I may have only met for a few moments, or some that I’ve never even met in person. I wanted to believe so badly that there was a unity amongst every piece of matter in this universe. 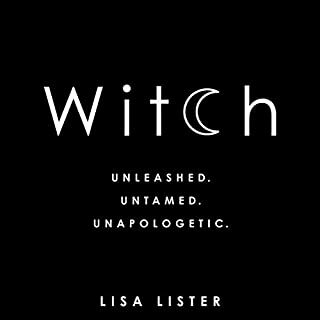 This book has resonated so deeply with me. 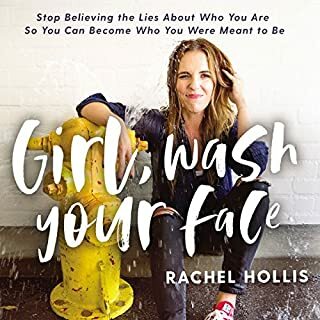 Rebecca’s life is so very different from mine, but hearing her tell her testimony of hiding in the spiritual closet and learning how to trust that we are exactly where we need to be when we are there hits home so much. Trust the callings of your soul, she says. 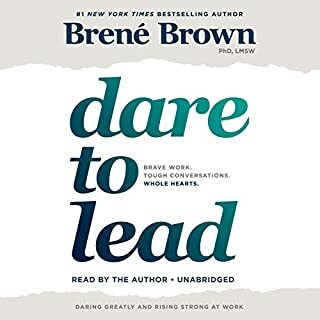 I had the urge to read this book for almost two weeks before I decided to purchase it... and when I finally listened to it, I could not get enough. Her voice and words were calming at the end of the day. 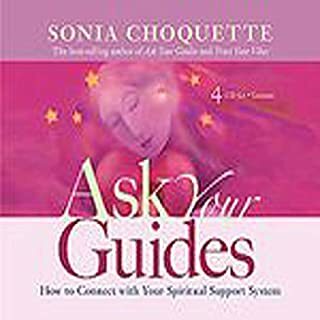 She has encouraged me to look deeper into my own soul and uncover the spiritual truths that I have been seeking for so so long now. Thank you. While I really enjoyed listening to the author's soothing voice, this was a difficult book to finish. The story line seemed repetitive and there wasn't much practical advice. Perhaps this was just me, but I didn't find her story relatable. 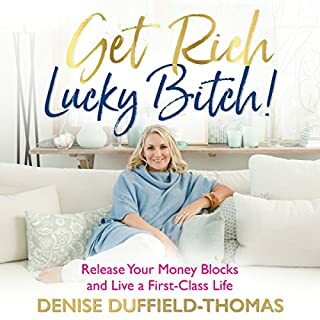 The book felt like a funneling tool to her website.